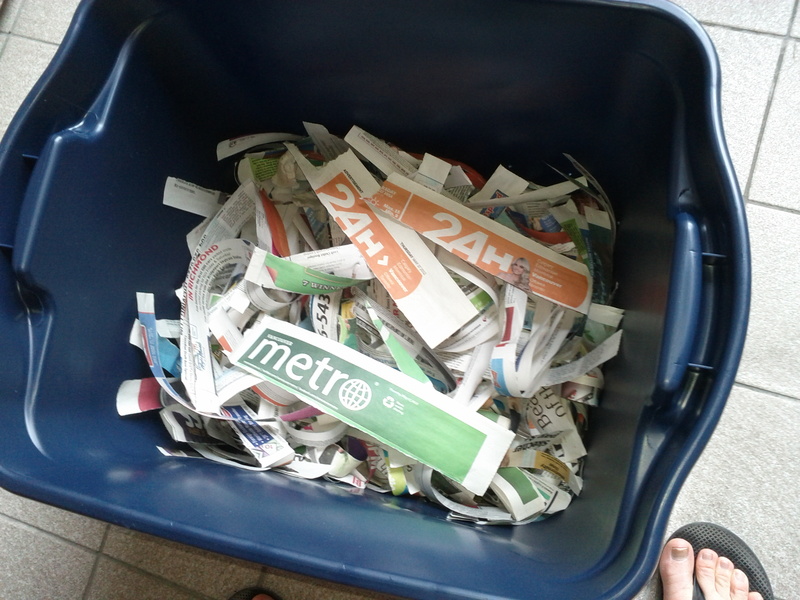 As forecasted, I have now begun a worm composting bin. 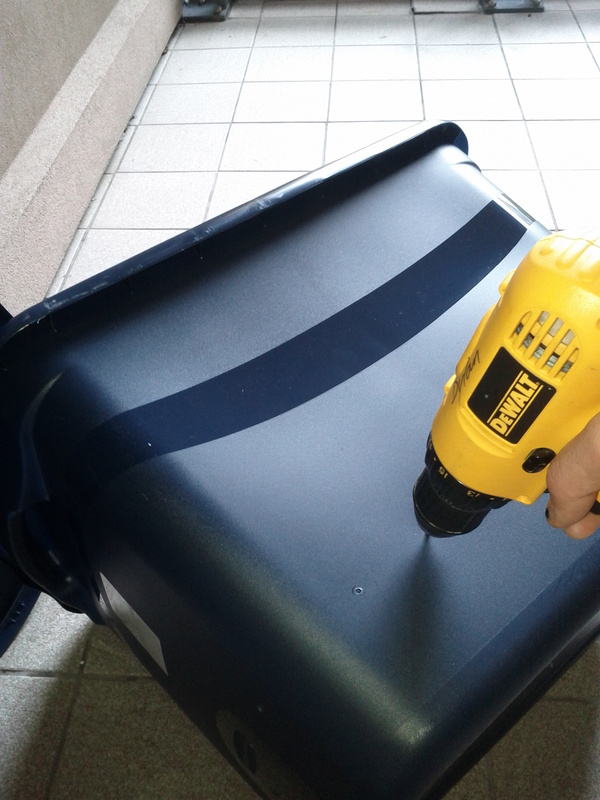 I started with an inexpensive bin from the hardware store and drilled some ventilation holes in it. I added some worthless pulp I found on the sidewalk to act as worm bedding. I threw in a few food scraps and a bit of soil. The new town of Vermhaven is ready for occupation. Now the only thing keeping me from being a vermiculturalist are the verms. 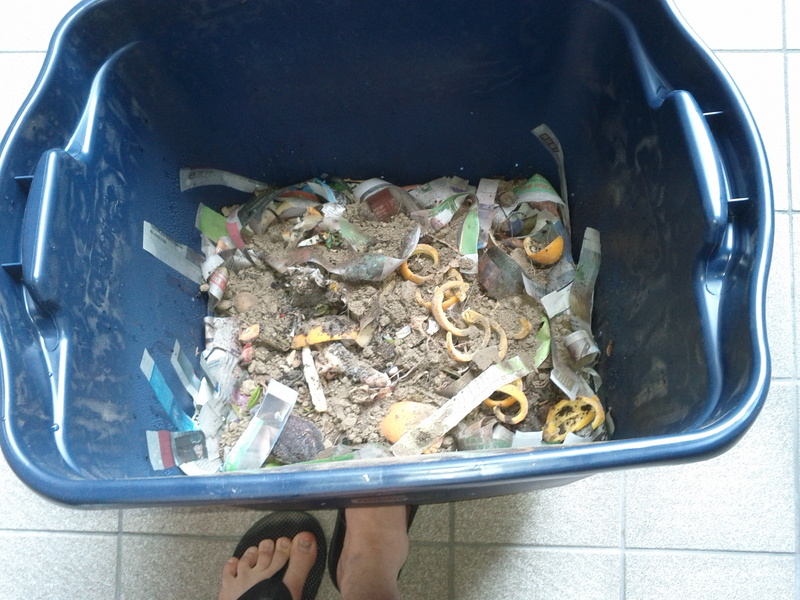 This entry was posted in Technology and tagged compost, Food waste, Vermicompost, Worm. Bookmark the permalink. Seems to me that your ventilation holes, from the pictures, anyway, are about 4″ higher than the scraps/soil/paper. But, then again, you’re an engineer and I’m sure you’ve thought about that. Toss the flip-flops in too, btw: I’m sure they’d LOVE them. You know, of course, that if you’re a farmer you’re farmin’, so if you’re a vermer you’re vermin’ and that means….rats, of course.